2 Bdrm 1st flr Executive flat (currently leased until May 2017). Hall. Lounge/Dining area/Kitch on open plan. 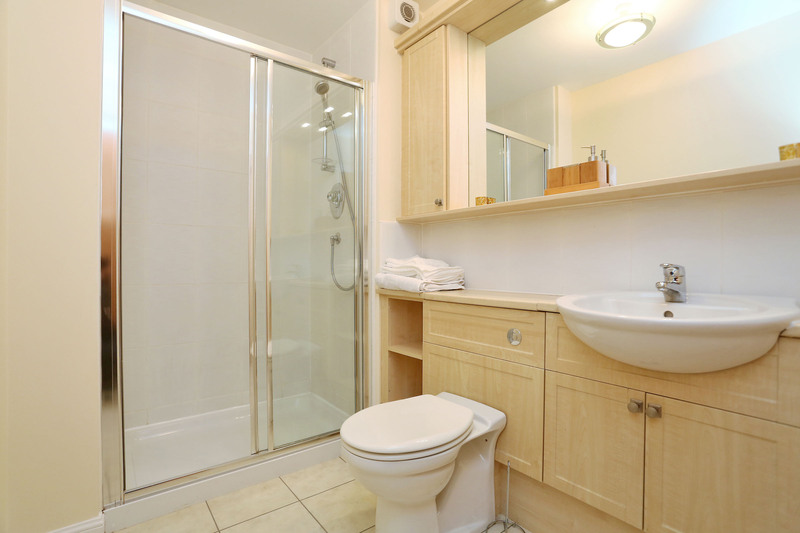 2 Bdrms, 1 with ensuite bathrm. Shower rm (CT band - D). Parking. Fixed price £205,000 Late entry. Viewing contact solicitors. (EPC band - B). We are delighted to offer for sale this superb, freshly decorated first floor executive apartment situated in an elevated position with excellent views to the front of the apartment. 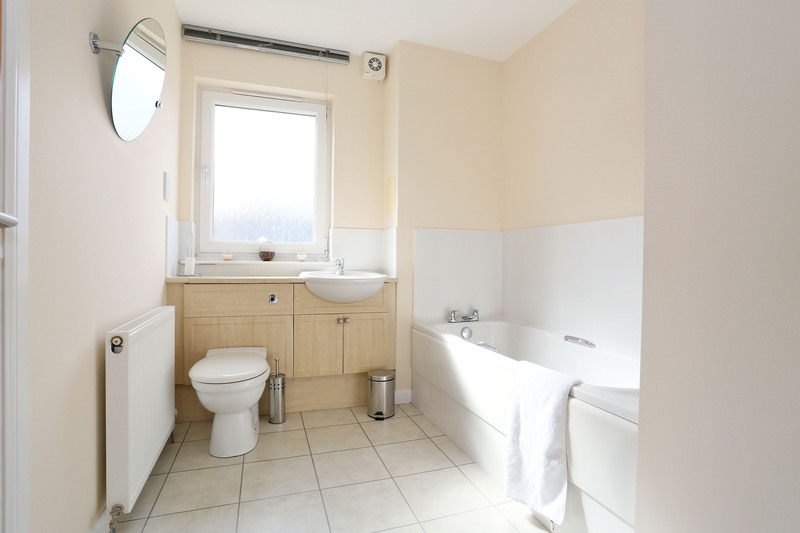 Presented in immaculate condition the apartment boasts spacious accommodation which comprises: entrance with lift access to all floors; living/dining room/kitchen; master bedroom with 4 piece en suite; further double bedroom; shower room. 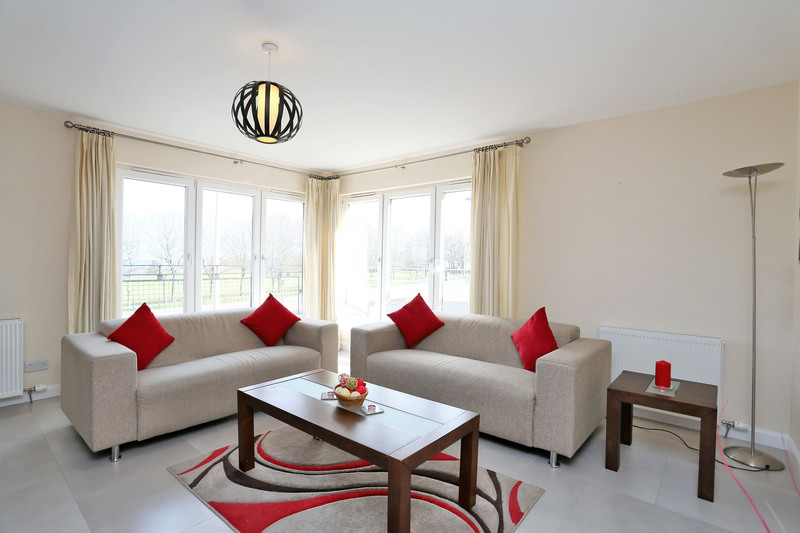 Heating is provided by a gas central heating system and windows are double glazed. The fitted flooring, curtains, blinds and light fittings will be included in the sale. Outside there is an allocated car parking space and secure communal bicycle store. The entrance hall and stairs are well lit and maintained in excellent order in terms of a formal factoring arrangement. PLEASE NOTE: This property is currently leased until May 2017 but may be available for any buy to let investors who may be interested. 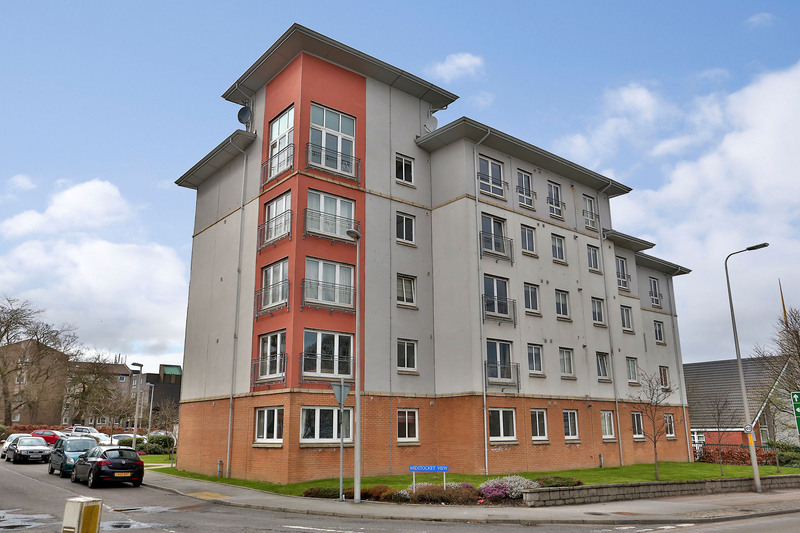 location: Midstocket View is located on Anderson Drive at the top of Midstocket Road, situated to the west of the city centre, in an area well served by local shops and a regular bus service to the city centre and beyond. 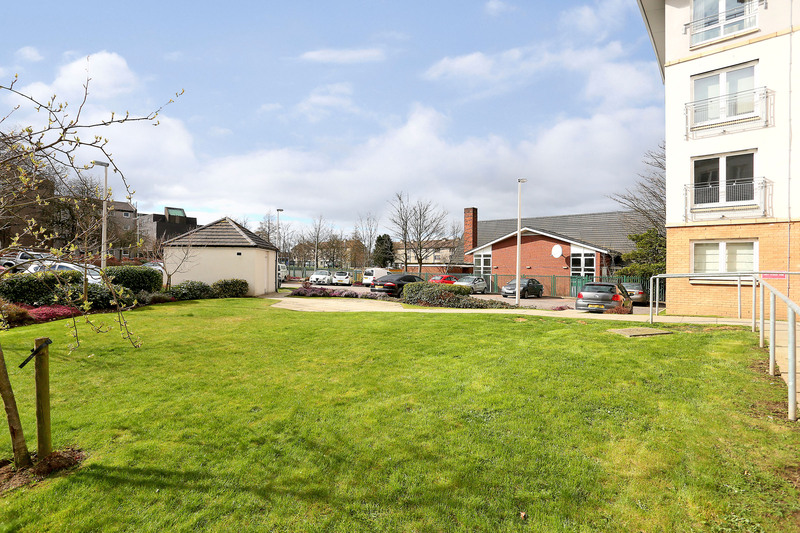 There are both primary and secondary schools in the area and the hospital complex at Foresterhill is within walking distance. All other parts of the city are within easy reach by an effective road network and for travel outwith the area there are domestic and European flights from Dyce International Airport. Aberdeen boasts a wealth of amenities including excellent shops, theatres, cinemas, dining for all tastes and a selection of leisure and recreational pursuits, which includes the finest golf courses, and stunning scenery along Royal Deeside. directions: Travel north along Anderson Drive, on reaching the Kingsgate roundabout continue ahead, through the traffic lights at Mid Stocket Road. The entrance to the development is located a short distance ahead on the left hand side of the road, the apartment is situated in the building on the right hand side. entrance: Tidy entrance accessed via a security entry system, there is stair and lift access to all floors. hall: Light wood exterior door leads to the welcoming hall; airing cupboard; storage cupboard housing the central heating boiler; further storage cupboard; pendant light fitting; smoke detector; telephone point; radiator. open plan living/dining room/kitchen: 22’x14’9 (6.70mx4.49m) Superb living area and kitchen with large windows to the front providing lovely views and an abundance of natural light. 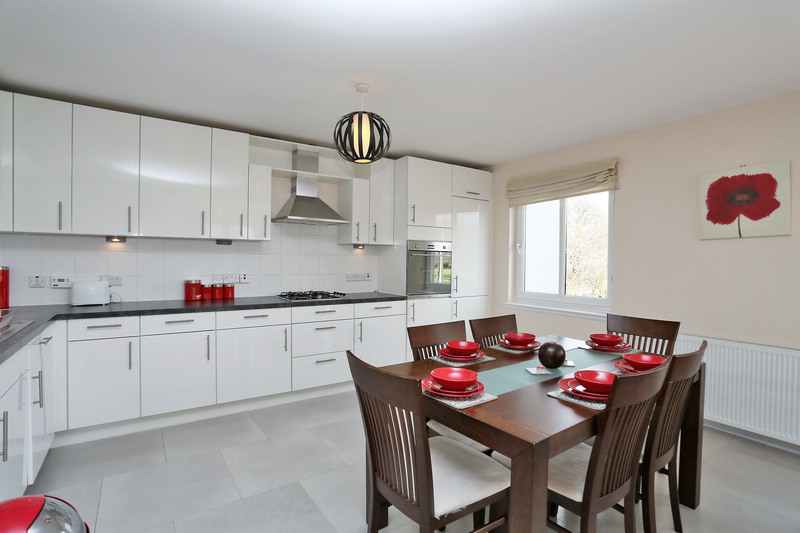 The living/dining area has 2 pendant light fittings; tile effect laminate flooring; 2 radiators. kitchen area: Well equipped kitchen fitted with an excellent range of modern white base and wall mounted cabinets linked by coordinated work surfaces and ceramic wall tiles; built in oven; gas hob; chimney cooker hood; integrated fridge/freezer, dishwasher and washing machine; sink and drainer with a mixer tap; telephone point; wall mounted television bracket and speakers; under unit lighting; tile effect laminate flooring. shower room: Good sized shower room fitted with a modern white three piece suite comprising: W.C with concealed cistern; double length tiled shower enclosure complete with mixer shower; wash hand basin set into a range of light wood effect vanity units incorporating wall mounted units with overhead plinth, downlighters and a central mirror; splashback tiling; shaver point; chrome fittings; ceiling light; tile effect laminate flooring; extractor fan; radiator. 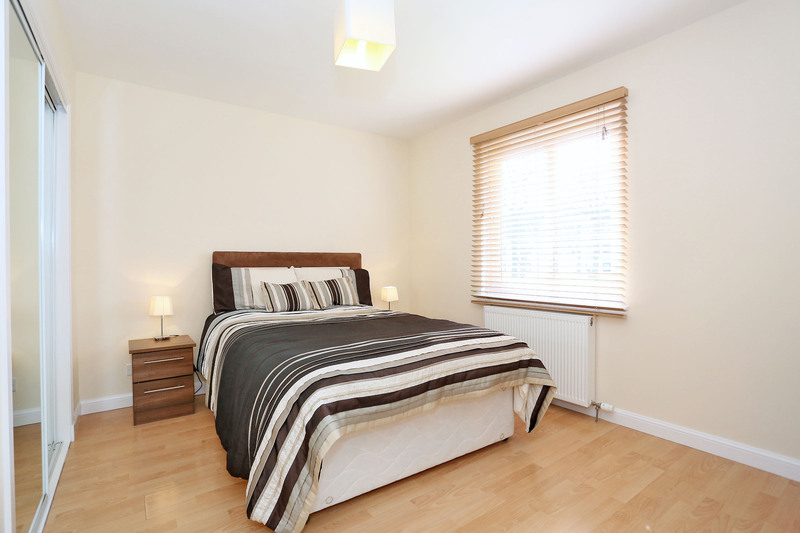 master bedroom: 12’4x9’4 (3.75mx2.84m) Appealing master bedroom with a rear aspect; window fitted with a wooden ‘Venetian’ blind; built in double wardrobe with mirror glass sliding doors; pendant light fitting; laminate flooring; radiator. en suite: Most attractive en suite fitted with a modern white four piece suite comprising: W.C with concealed cistern; large tiled shower enclosure complete with mixer shower; bath; wash hand basin set into a range of light wood effect vanity units; splashback tiling; shaver point; chrome fittings; ceiling light; ‘Karndean’ flooring; extractor fan; circular wall mirror; radiator. 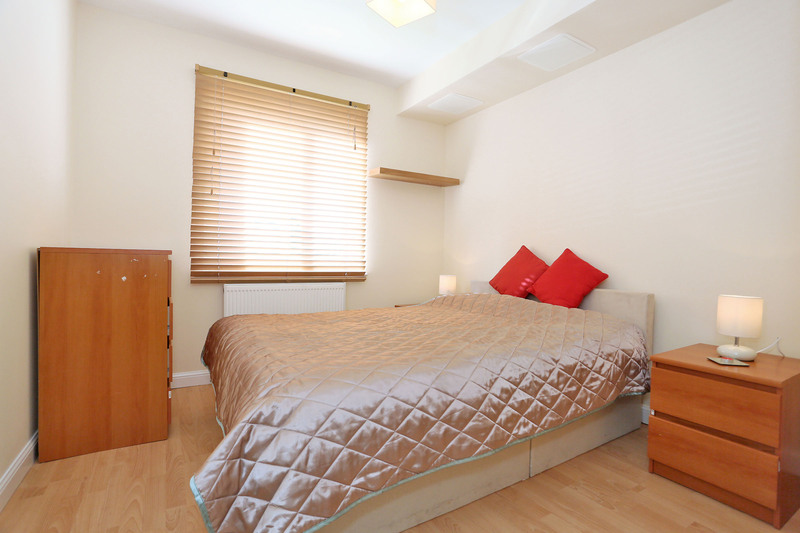 bedroom 2: 11’x9’1 (3.35mx2.76m) Bright and airy double bedroom with a rear aspect; built in double wardrobe with mirror glass sliding doors; pendant light fitting; laminate flooring; radiator. 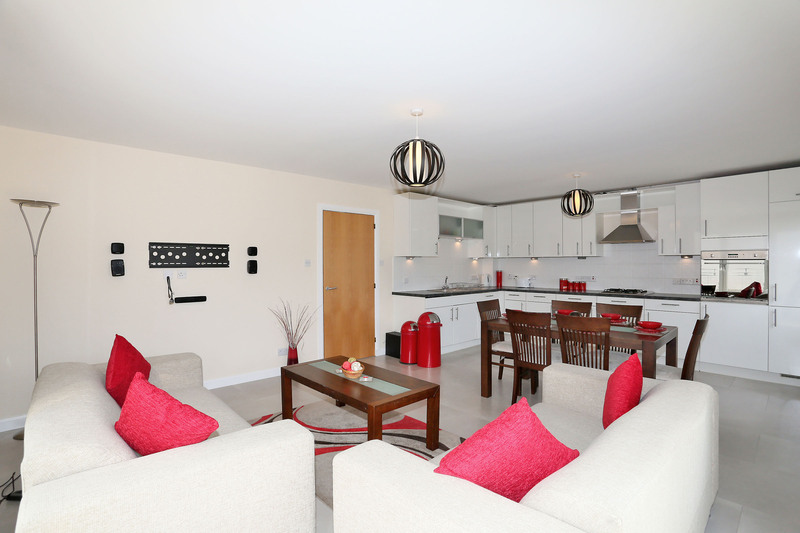 outside: The apartment is situated in a purpose built block served by a security entry system. The entrance hall and stairs are well lit and maintained in immaculate order in terms of a formal factoring arrangement. parking: The allocated car parking space is situated to the rear of the building. Secure communal bicycle store.